Best console for an 8 year old? I've blundered into this section with no idea & seeking help please. The last console I owned was a PS2. Things seem to have progressed somewhat since then. I am utterly clueless so turn to the BBS for assistance. I'd rather the 8 year old played football or read a book, but I can't stand in the way of technology. What console would you suggest please? My Kids (Aged 7-12) play the Xbox One. I set it up so Microsoft sends me weekly reports of what they play and for how long. Quite handy. Good selection of games. PS4 or Xbox One. Go for the one that’s most popular with his mates. Unless your sons idea of a good game is something like Pokemon or Mario, then maybe a Nintendo Switch. Last edited by CP-RJW; 08-09-2018 at 12:52 PM. get him a raspberry pi and download mame software. You can have 3000+ classics all for £60. Super Mario World, Mario 3, Sonic 1 & 2, Zelda, Megaman to name but a few are all still extremely playable and basically operate off a "pick up and play" process. I gave my nieces one and they absolutely love it. I’ve got a PS4 and a Switch. The Switch is a great piece of kit. Can be played on the TV and on the move. Splatoon, Mario Kart and Super Mario Odyssey are all great games that kids (and adults) would love, and plenty more. My younger cousins love the Switch. The PS4 is obviously brilliant, but I don’t know if it is designed for a younger audience (IMO). I barely play my PS4 any more apart from FIFA to be honest. Thank you all for your suggestions and advice, much appreciated. We were leaning towards the Xbox, as that is what his mates have got etc but we're going for the Switch instead for multiplayer Mario Kart. 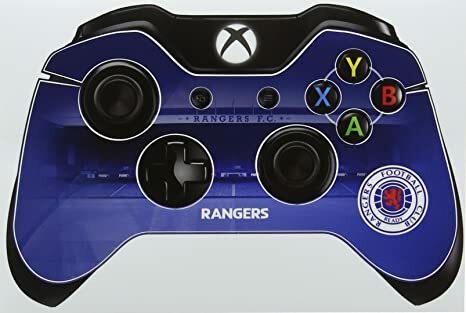 And you can get FIFA on it as he's a football nut. Cheers. In Soviet Russia, Parish Points claim you. Do NOT I repeat do NOT show them Fortnite. Unless you never want to see them again. He's played that a couple of times (if it's the Battle Royale type game?) before and loved it. My missus isn't too keen though. But she will allow Street Fighter II by all accounts. Switch has fifa, minecraft, fortnite, street fighter 2 so a good choice. Labo is also apparently very clever and cool and good for kids that age. Online gaming isn’t as slick as PS4 and Xbox though. And you’ll have a pay a subscription for it soon. And the games/hardware can cost quite a bit more than other platforms. PLenty of cheap games online for Switch too. Switch subscription is cheaper than PS4 and Xbox but you don't get the free games, discounts etc. And using a separate smartphone app for voice chat is just a massive fanny. Switch is excellent, that is all. I support SC's decision to get the Switch. It's very obviously the best console for an 8-year-old imo. Obviously it lags behind the competition in a few areas, but I don't think any of that stuff is really relevant to a kid at that age. The stuff is offers that the others don't is going to make much more difference. Couldn't recommend the switch enough. If you have it setup on the main telly and you want to watch something you can just unplug the handheld and they can carry on where they left off. Also can take the handheld out the house and play it, like if you're going away on holiday. .....and turn them into swearing, aggressive, rude gits!